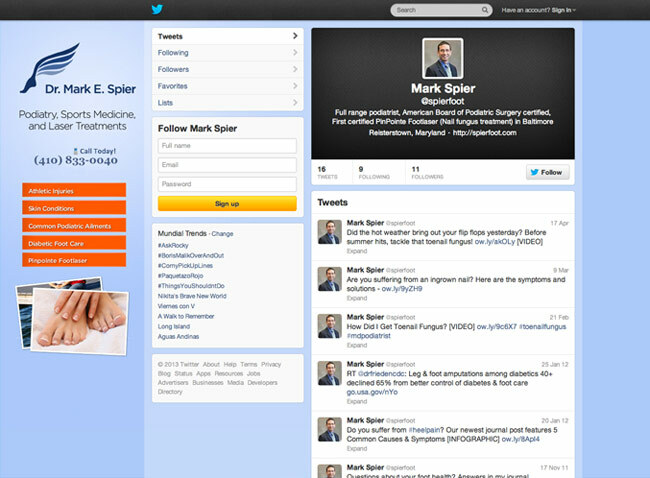 A custom Twitter background was created for Dr. Mark Spier’s podiatry practice, that matches his Facebook custom tab and website design. We wanted to keep the design simple but visually-appealing and informative of his services and offerings. A phone number, list of services and picture gives users a good idea of what Dr. Spier offers.